Paddy Hayes is an entrepreneur with 41 years trading experience under his belt. In that period he started three businesses. The first was a business intelligence provider, the second a marketing communications agency and the third, which he continues to run, is an international research practice. 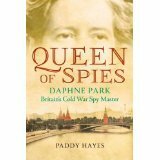 During this time he has also been a close observer of the clandestine operations of secret intelligence services. 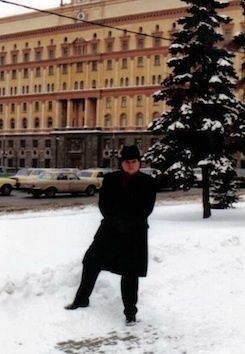 His work took him behind the Iron Curtain to Moscow and to East Berlin and to many of the cities with almost legendary associations with espionage; Vienna, Shanghai, Bangkok, Hong Kong, Istanbul, Tangiers, Nairobi, Cairo and more. He used the opportunity to meet and engage with intelligence officers of various hues, sometimes supping with a shorter spoon than might have been deemed wise. This has led to him possessing an intimate knowledge of the spy business, the nature of the people who work in it and the type of behaviours they get up to. He brings this knowledge to both his fiction and non-fiction writing. I felt strongly that an Agency that was familiar with my writing genre should be my first port of call. So I did what I’ve learned to do over the years; if you don’t know, ask. In my case I asked an independent television producer specialising in a similar field to my writing. He suggested I get in touch with the Lownie agency. He said that its principal, Andrew Lownie was a stand up guy, who did good work, knew what he was about and would know what I was about. Next I checked out the website and was taken with how open it was and the quality of the information that was available, not to mention the company I would find myself in. I sent an exploratory e mail on Andrew and received a positive response almost at once suggesting I sent in a detailed submission. That led to a meeting and to my signing up with the Agency. My experience to date has been great..energy, experience and enthusiasm.